Popular BUY! Super lightweight and maneuverable, the Junior packs a big punch in a small package. 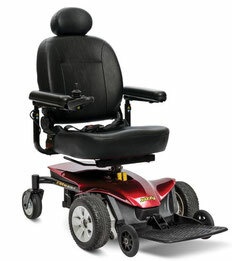 For excellent performance indoors or out, the Jazzy Sport 2 is for you. 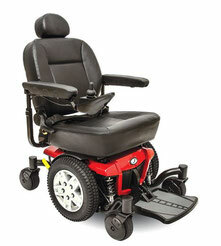 The Jazzy Select 6 has Active-Trac and mid-wheel drive to give you a comfortable and stable ride. 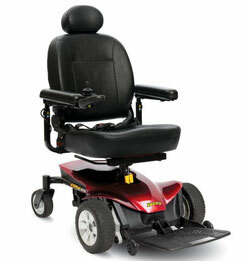 The Jazzy Select 6 2.0 offers a ride experience like no other with a sporty design and superior performance. 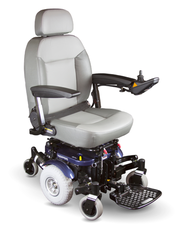 The 6Runner 10 also has our stable four post seating system and suspension system for smooth driving operation. 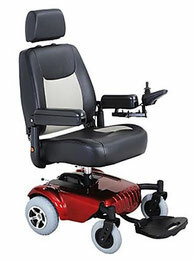 The Jazzy Elite ES combines in-line, front-wheel for optimum stability with style. 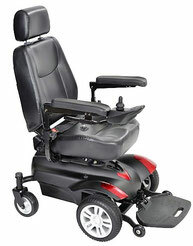 The Jazzy Elite ES uses in-line, front-wheel drive to maintain excellent stability and maneuverability. The Jazzy Passport's compact lightweight design makes traveling easier and more enjoyable than ever. 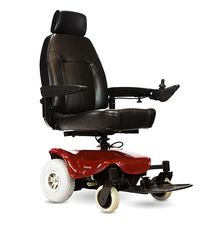 The Shoprider Jimmie® breaks down into 3 pieces with a quick-disconnect system for effortless disassembly. The Titan P22 is stylish and perfect for indoor or outdoor use. The Jazzy Elite ES Portable offers a combination of style, performance and portability. 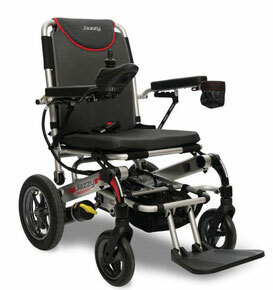 The Jazzy Select Elite delivers maximum performance for an active lifestyle in a compact design. Enjoy face-to-face socializing with the innovative Jazzy Air. Elevates 10" in just 16 seconds! 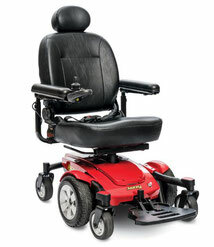 With Shoprider's extended life Envirofriendly® battery technology, the Smartie® certainly lives up to its name. 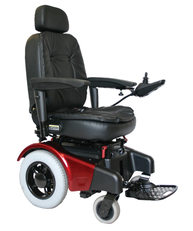 The Jet Stream L is a rear wheel drive power chair that is design for the active consumer. 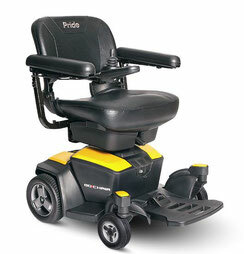 Large rear-wheel drive system. The Titan X16 features tool free disassembly, making it perfect for on-the-go users. 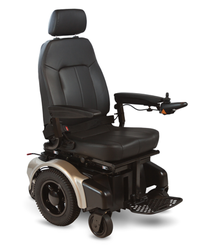 The Jazzy Elite 14 features 14" drive wheels to take on any terrain with ease. 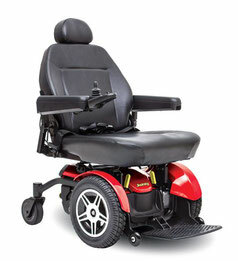 The Jazzy 600 ES has the tightest turning radius of the Jazzy line making it number one in maneuverability. 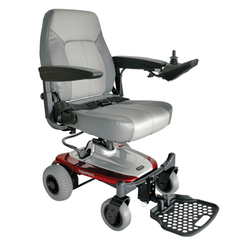 Enjoy lightweight travel and the independence you want on the move with the Go Chair. 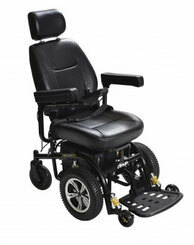 The XLR 14 Power Chair is equipped with large 14” Drive Wheels. 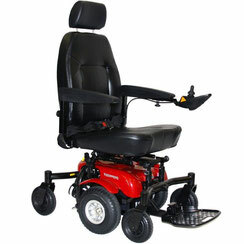 The self-adjusting Mid-Wheel Drive suspension system. 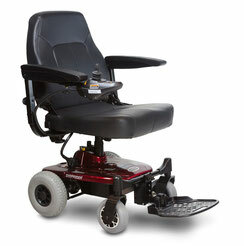 The Trident FWD Power Chair provides great power and navigation capability.